That’s good advice! Cute pic too. Looks pretty much like where I’m at right now for the Thanksgiving holiday, Stay warm. 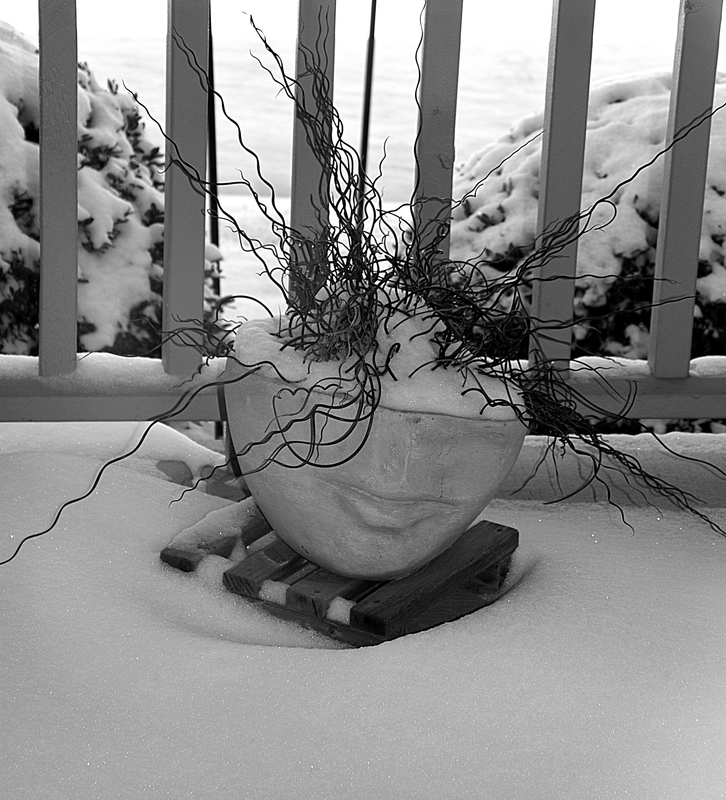 I couldn’t resist that title when I looked out Sunday morning and saw the fascia pot with snow on its noggin! Very interesting photo… I like it! Even after the snow and cold temps, that plant is still alive. Not sure how it will handle the blizzard that’s forecasted! I hope you can stay indoors! We were on the edge of the system and managed to get NONE of the snow that went south of us. I’m glad you were spared the white stuff.